A friend of mine sent me an email the other day with this equation in it and, since they know I’m into human development, asked me my opinion of it. On the surface this looks like a serious scientific question. But in reality it has already been answered. It was answered in the shape of the mobius. Part one is the equilibrium argument. The important part here is the equal sign. I’ll be referencing this a little more in a minute. Part two is the change segment. It is described by the (<) less than and the (>) greater than signs. This is about a movement from one condition to another. It’s about “change” and all change comes in two distinct polarities: Negative and Positive. One type moves toward the challenge and the other shrinks from a challenge. But let’s start with the “Equilibrium” argument first. 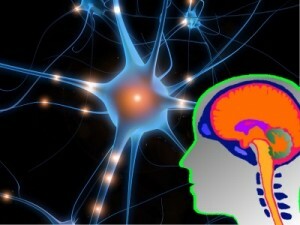 In the human body the immune system operates automatically to keep things close to a state of homeostasis. If the body gets too hot for example it tries to bring the temperature down by activating the sweat glands. On a graph the process looks like a curve. It rises steadily upwards and forward until the system starts to respond. Then the curve starts downward and forward to arrive at the point of the mean temperature. That’s the ideal at which the system can operate at efficiency. 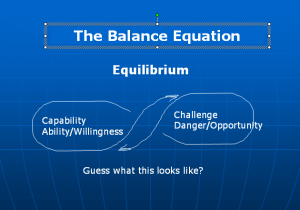 But in this equation it’s referring to the intrinsic attributes of a system (Capability, Ability/Willingness) as being equal to certain extrinsic values (Challenge, Danger/Opportunity). I like this because it speaks about the duality that we see in so many things in us and around us. Now let me just address the actual components. 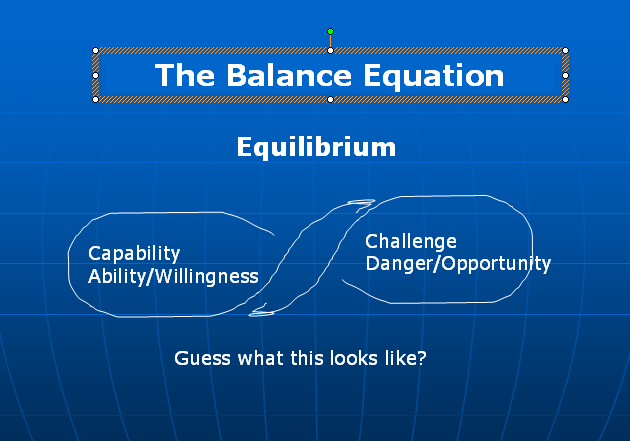 On the one side of the equation we have “Capability, Ability/Willingness”. This includes all our internal resources including our internal motivation. On the other side we have “Challenge, Danger/Opportunity”. This includes all the extringent factors that make up our outside experience. In this equation these are equal because in a human system that is enervated by an internal ethereal energy, like the kind that is switched on by this, it expands to meet the level of the ongoing challenge. When that happens the duality is balanced like a financial statement or a weigh scale. In the mobius strip the balance was the shape of the system itself. It’s an elegant reciprocal and continuous feedback loop. It’s totally equal in every dimension. That’s because the mobius is perfectly balanced in elegant dual harmony. No conflicts exist here. Now let’s look at the second part of the question. The key word here is “change”. Positive or negative. This is the story of conflict and turmoil. 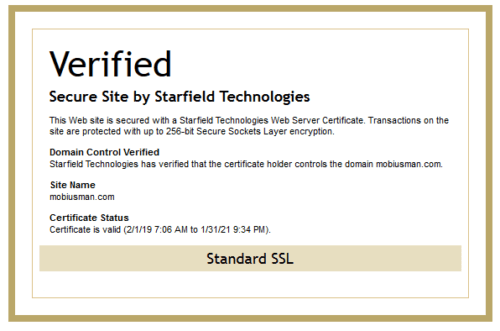 Either one is not a secure state. It’s in flux. There are no guarantees. Not now, not ever. Our best bet is to try to enervate the immune system that looks after the thinking (mindset immunity) because it’s usually far too slow acting in most people to do much good. Once enervated from the gut drive, which by the way I believe is the same energy that’s behind the drive of persistence and determination, then it acts like a buffer against the extremes of over-hype on one side and depression on the other. Hard to think straight when either one is taking over. 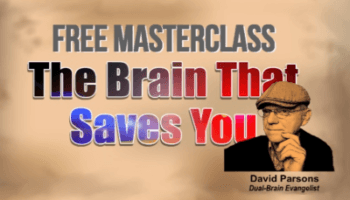 Buffering of stress and worry, of the type that is offered via connection of the gut-brain with the head-brain, frees up energy resources and increases use of your natural capabilities and inherent talents. The only time I waste is time I spend doing something that, in my gut, I know I shouldn’t.